I have a rather small house. Everyday I worry about running out of spaces to store my ever growing stuff. 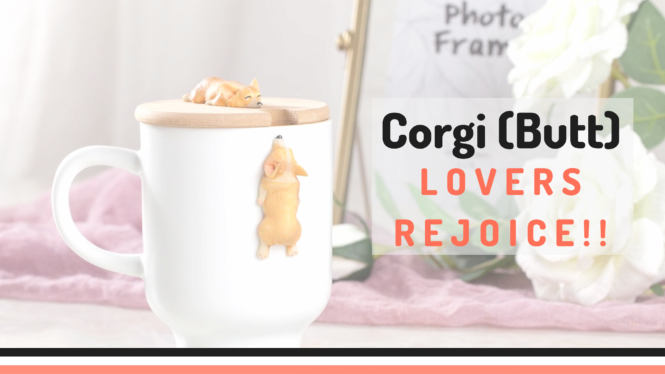 Hence, every time I found a way to create some storage around my house, I always feel a tinge of happiness. Today, I’m going to introduce a solution that can create a storage size of at least 4 luggage size — storage bed aka ottoman bed. Storage bed looks normal on the outside, but actually comes with drawers or space underneath the frame, or at the headboard, for purpose of storage. 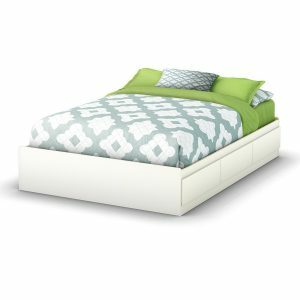 What are the benefits of storage bed? Storage bed actually created more space more than under bed storage. When I changed from under bed storage to storage bed, the existing stuff only took up a quarter of the storage space, which was pretty amazing. Under bed storage works great. But they tend to accumulate a lot of dust on the outside when I pull them out every couple months. However, with my storage bed, the storage are more concealed and less exposed to dust. 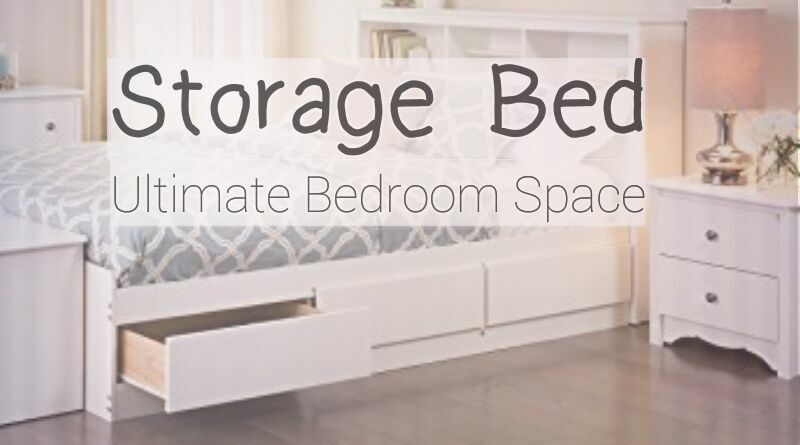 Storage bed can really create a lot of spaces, especially for bulky items. 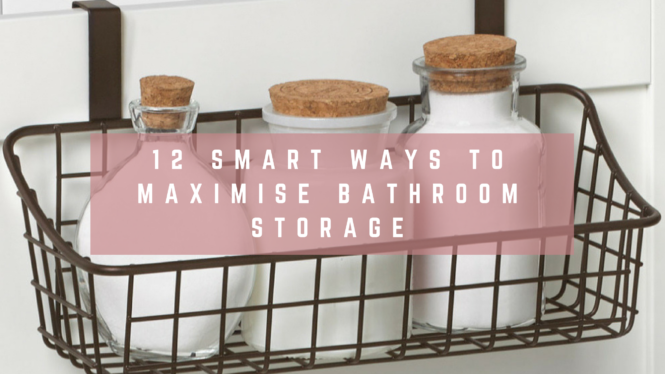 You no longer have to buy many cupboards to store your items and build shelving to create space. 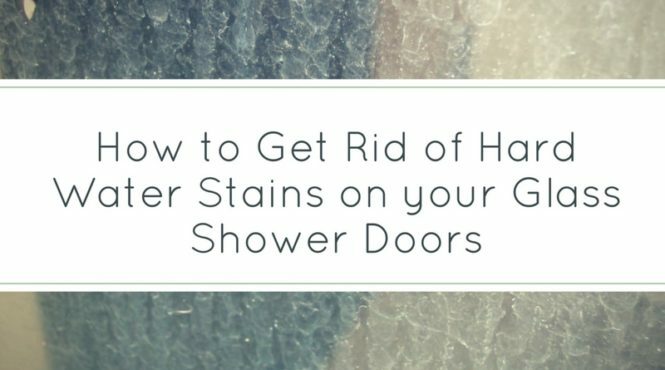 This increase walking spaces and keep your house less cluttered. Surprising, the storage compartment in storage bed don’t look obvious at all. In fact, when my friends first walk into my room, no one could tell there were storage underneath the bed. 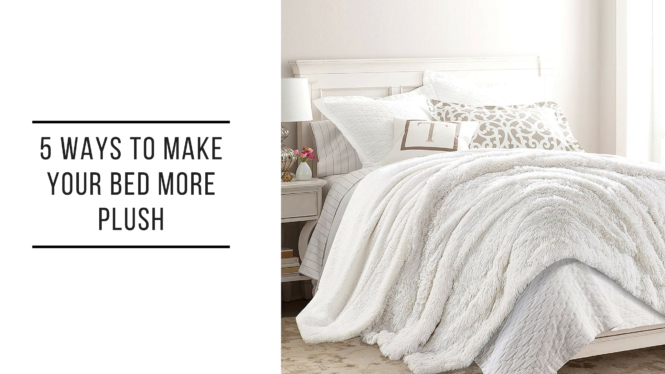 Due to the storage space, the frame are usually higher and makes the bed more appealing to the eyes. 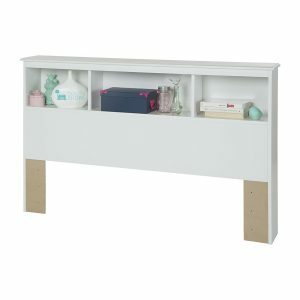 What to look out for in a storage bed? There are many form of storage bed. 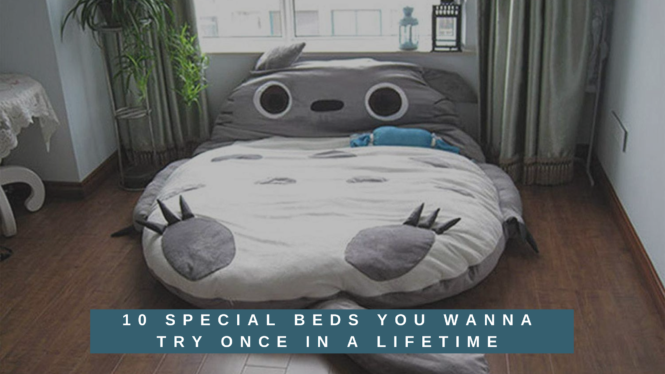 You may need to assess where you are placing your bed in the room, and the amount of strength you are looking to exert every time you want to open the storage. 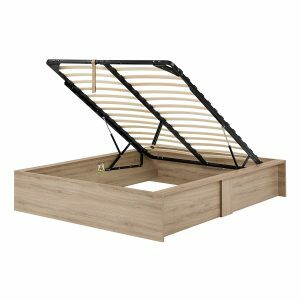 Lift up storage bed may optionally comes with a central divider. They are usually found in larger bed frame such as queen or king size to give more support. They usually open from the foot of the bed, while some open from the side of the bed. Hence, you would need to position the bed to ensure sufficient space for you to open the storage. 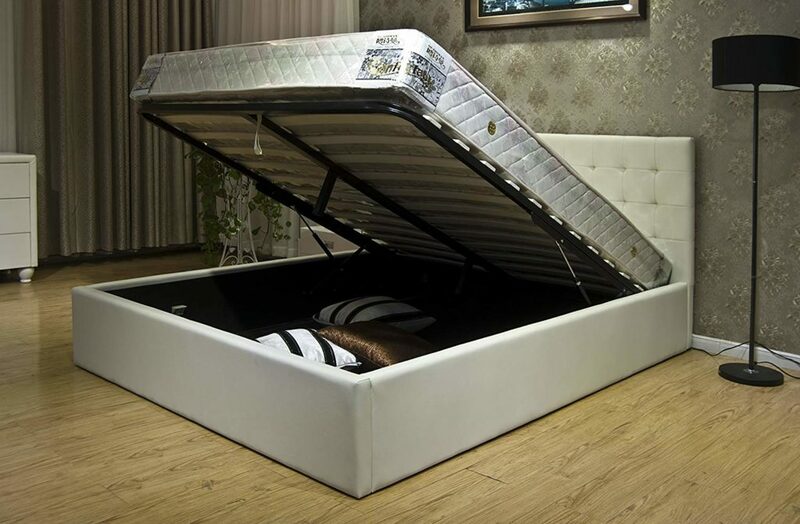 Most lift up storage bed uses a hydraulic mechanism that help to spring the storage open with some strength. It could be heavier and harder to lift with a heavy mattress, duvet, pillows etc. The words in the industry is that Germany made hydraulics are a better and sturdier choice. Some lift up storage bed also comes with shelvings exposed by the side. 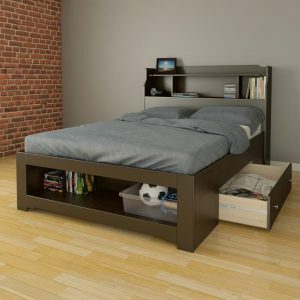 Drawer style storage bed have drawers around the bed frame. It can be at one side only or both side of the bed, and/or at the foot of the bed. Depending on the position of the drawer, you may or may not be able to push the bed to the side of the room. 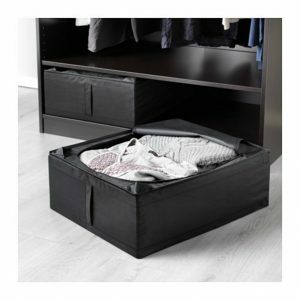 As compared to lift up storage bed, storage bed with drawers do not need any strength to open the drawers. 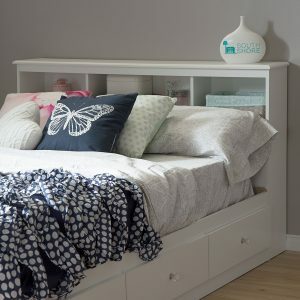 Headboard storage bed are bed that comes with storage at the headboard. They can be hidden compartments or inbuilt shelves. 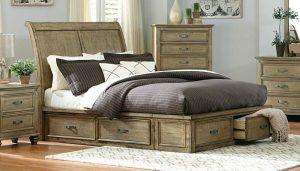 They can come together with lift up storage bed and drawer style storage bed, or you can purchase the headboard separately. The headboard storage bed could be very thick and take up more space, hence, you may need to rethink to see if it can fit into your room. 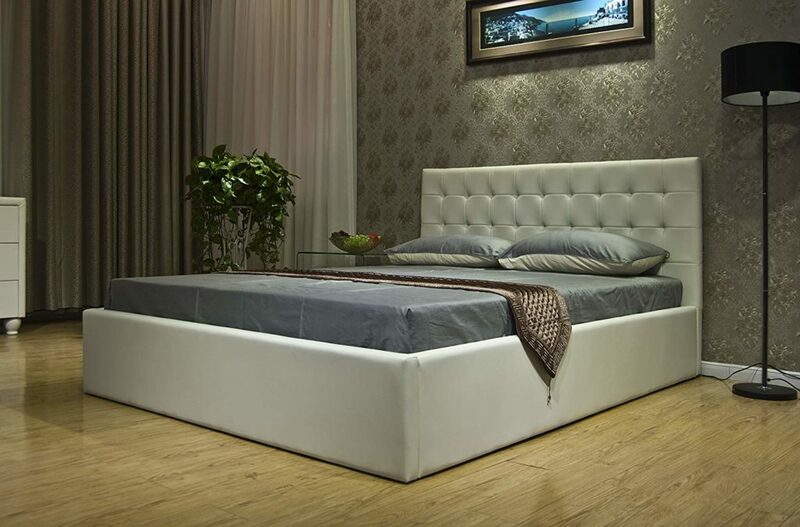 Depending on your needs, there are various depth of storage bed out there in the market. Before getting one, you need to plan the items you intend to place inside. For example, if you are intending to put a luggage inside, you will have to ensure that the depth of the storage is sufficient. Some platform bed comes with a board at the base of the bed. Good quality board can be made from solid wood, while those lesser quality could be made from hollow wood or strips of wood. 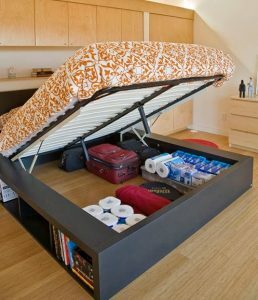 Other storage bed could be hollow inside where you store your stuff directly on the floor. Personally, I prefer the former as it looks cleaner. If you choose a very thick storage bed frame, and you happen to have a thick mattress like a pillow-top mattress, it may add a lot of height and make your bed very tall. For those with children who tend to sleep with you, it may pose a safety hazard. When getting a storage bed, you probably need to watch out for the weight tolerance of the storage bed. When I have my drawer-style storage bed a couple years ago, I use the drawers to store all my old books and notes from school. Needless to say, the drawer eventually collapse under the weight pressure. I love the simplicity of this storage bed frame. It comes with 3 drawers, interchangeable at either side of the bed during installation. This allows us to flush the bed to one side of the room while still making the drawers accessible. It is also handle-free, which reduces the dangers posed to our feet. Each of the drawer have an internal dimensions of 22-1/2-inch wide by 18-1/2-inch front to back. This is perfect for storing your clothes and getting rid of your closet. 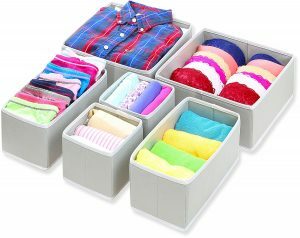 You could also get these foldable storage box to help divide the spaces for easier organization of your clothing. Not forgetting the fact that it goes perfectly with their Bookcase Headboard. 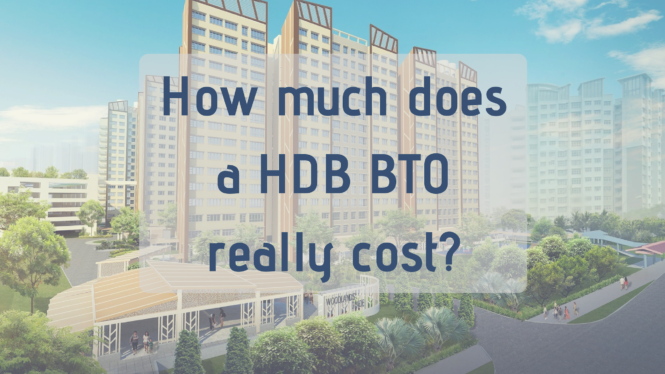 It comes with 3 open storage space which is prefect for items that you need to access daily. For those who are tight on spaces on the side, it could be a replacement for your dresser where you place your daily necessity items such as water bottles, spectacles, phone, and so on. 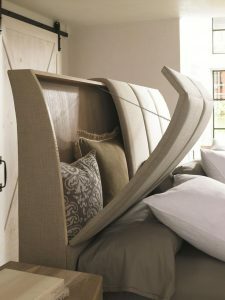 This headboard wont’ look messy as it also comes with 1 hole in the middle storage space at the back panel for you to sneak in your wires such as phone cable. So if you can spare some spaces, it would be a totally good add-on to have. This storage bed is perfect for those with bulky items looking for a home. It does not have a board at the base of the bed, which means you will be placing your items directly at the floor. The weight limitations is as far as your flooring can handle, so if you wanna keep your bowling ball here, you probably can. You can open the storage bed by pulling the fabric strap at the end of the bed. Even with the mattress in place, the metal hydraulic cylinders will kick in and help to lift the bed up without you exerting too much strength. I really like the neutral color of the bed frame that goes perfectly well with any color scheme you have in mind for your room. Especially with its simplistic design, it hardly make people suspect that there’s another world beneath it. It is perfect to hide your stuff from prying eyes. There is no central divider with this storage bed, which means you can put really huge items such as a painting inside without constraints. To better organize your items, you can also add some storage box to categorize them and make it easier for retrieval. 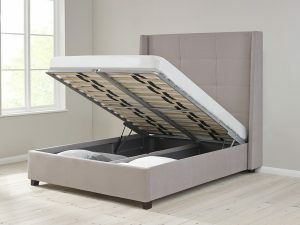 I love how this storage bed have the best of all world. It is best suited for your schooling kids. A wide open storage space at the foot of the bed and at the headboard for easy access to all their study materials, toys and gadgets. You can probably save yourself a bookcase from all these storage. It have one huge drawer that can be installed on either side of the bed. Pretty useful for the kids to hide their untidiness. As it is flushed against the floor, it is not advisable to put it on top of a carpet where it might caught onto the drawer while pulling and pushing it. What did you managed to put under your bed? All my low usage kitchen appliances. This includes an induction cooker, toaster, microwave, mixer and many more. Excess utensils such as pots and plates. When I first move house, many relatives and friends gave us a lot of pots and pans, along with plates and cups. After packing the necessary utensils in the kitchen, the excess of more than 50 plates were neatly archived in the storage space. Daily necessity items. We tend to stock up whenever there is a sales at the supermarket. From toilet paper to toothpaste, we basically stock them up inside the storage space. Luggages. Due to its large storage area, we managed to put our 32″ luggage in easily. These items are in my storage bed thus far. What about you?